Despite the big marketing push a couple of years back, 3D technologies haven’t really caught on with users. 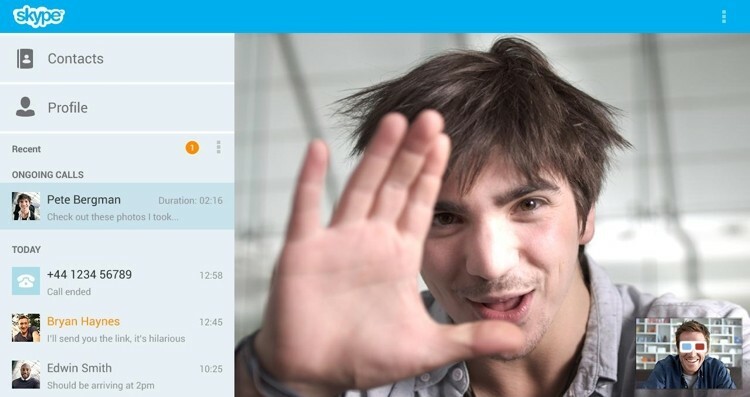 But the team behind Skype believes there’s still a lot of potential in this area, revealing that they have been doing trials in the labs and hope to officially support 3D video calls once the ‘ecosystem of devices’ is ready. In an interview with BBC, Skype vice president Mark Gillett says they’ve seen a lot of progress on the display front, noting people have access to the technology on both television sets and computer monitors. But it’s another story when it comes to 3D capturing devices. For something like this to work “you have to add multiple cameras to your computer, precisely calibrate them and point them at the right angle,” according to Gillett. There’s a bit of unintended irony to his comments given Skype-parent Microsoft produces perhaps the most widely deployed 3D capturing device out there, known as Kinect. But the fact remains the technology just isn’t quite there to match R2-D2’s three-dimensional video calling expertise. Aside from technological limitations the format also faces an uphill battle gaining the public's acceptance. After all, 3D pretty much failed to live up to the initial excitement surrounding its arrival on modern TVs, and broadcasters including BBC and ESPN have recently decided to ditch their 3D channels due to poor demand. The BBC interview also touches the possibility of offering 1080p video calls to other devices apart from the forthcoming Xbox One console, including Sony’s PS4 and mobile devices, as well as advances from the Microsoft takeover and the threat from services like Whatsapp in the mobile communication space. On a related note, Skype happens to be celebrating its 10th anniversary today, claiming more than 1.4 trillion minutes of voice and video calls under its belt or the equivalent of more than 2.6 million years of conversations. The company has posted an infographic highlighting some of the achievements this past decade brought.